If you’ve followed the previous posts in this series, you know how to figure out your blog’s ROI. Whether you are happy with your blog’s return on investment or hoping to make it higher, there’s always room for growth and improvement. Below are five straightforward, effective steps you can take to improve ROI of your blog. Step One: Compose content that performs better. Take a look at your analytics to see what terms are bringing people to your site. Run a survey. Ask people what they like and dislike. Engage in your comments section. Ask them questions about what they want to see. Find competitors’ with successful blogs that have an audience who’s regularly commenting. Use Facebook’s Graph Search to learn more about your fans and competitors’ fans. Use different article formats – long, detailed articles; pithy tip-based pieces, bullet point lists, infographics, how-to tutorials – the possibilities are endless. Look at news stories, polls, and social media to get an idea of what’s trending among your target audience. Trial and error. Change it up and track your success! Cite sources. It’s a good idea to cite trustworthy sources to enhance your written material’s credibility. Include links to quality external sites. And it’s even better if the source is your own research. If that’s the case, explain how you can to these findings. Test headlines. If you’re using WordPress, you can use a simple plug-in to test multiple headlines for the same article. You may find that a certain approach hooks more readers. Feature updates. Are you rewarding your regular blog readers by ensuring they get the news first? Keep your readers informed of current projects, upcoming products, and new services. This can grab the attention of potential customers and hold it until your new product or service is available. Don’t overtly advertise. If you always try to sell your product in the content of your blog, you run the risk of alienating your reader. Limit your call-to-action to the end of your blog posts, or let the content speak for itself. Add images. You can make your blog more attractive (and SEO and social media friendly) by adding relevant images. To learn more, check out my post on What Images Can Do for Your Blog Posts. Step Two: Add new revenue streams. Network ads. Google AdSense is a good place to start. If you open a Google AdSense account, you can display relevant ads on your blog that earn you money every time a reader clicks on one. Bidvertiser and Bing Ads offer similar, pay-per-click programs. For many people, this is their first idea when trying to monetize their content, but it’s important to note that it’s not the right fit for every site. If your main goal is to monetize your site visits via AdSense, you need to pick a high cost-per-click (CPC) niche. Here’s a great report on the most expensive Google keywords. Also, to make a significant amount of money using AdSense, you need to have a high volume of visitors. Otherwise, it will just trickle in, which can still be nice since it is passive income. Take a peek at my returns from On Edge TV, which has a very low CPC. I just got a deposit for over $800 – but that has been all time since I got my very first click on April 19th, 2004! Affiliate ads. The way affiliate ads work is simple. If you mention your affiliate’s products and include links to them in your content, you can earn money every time a reader clicks through to their site and makes a qualifying purchase. Amazon and CJ Affiliate offer this type of affiliate advertising programs. Sell leads. Let’s say you develop a succesfull website about home improvement. It’s likely you have many visitors interested in hiring a contractor, so you can sell those leads or become a specialized affiliate for a handful of partners. For highly targeted niches, this can be a highly effective revenue stream even with a moderate amount of traffic. Private sponsors. You can seek out other businesses in your industry on your own and offer them advertising space for a monthly rate. The more visitors your blog receives, the more you can charge advertisers per month. Content sales. 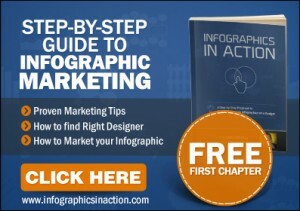 Repackage your content and sell it in the form of a webinar, video, ebook, or even a print book. Your visitors are already engaged by your content, so they are often willing to pay for it if given the opportunity. Donations. For certain types of websites, directly asking your visitors for support can work. Many sites, such as Wikipedia, run on this alone. Consult. Does your blog establish your expertise in a certain area? Let people pay to make use of that knowledge for their specific projects or needs. Membership. If you have a group of engaged readers, you can offer them premium access on your site. This can include access to specially written content, an exclusive forum, a job board, or other resources and tools. Step Three: Improve your conversion rate. Sometimes, all it takes are a few small changes to bring about big improvements for your conversion rate. Here are some ways you can better your blog’s conversion rate to improve your ROI overall. Make your shop easily accessible. You should make it easy for readers to access your online shop via your blog by displaying buttons prominently. Make links to your shop standout and reduce distractions that might draw reader’s eyes away. Design an effective call-to-action. When executed well, a call-to-action can pull more readers into your online store. The end of your blog post is typically a safe place to put a well-worded call to action. You could also try out a pop-up window call-to-action, though be careful—these can sometimes appear too aggressive. Use buttons. Many blogs rely solely on text for their call-to-actions. A simple button can draw more attention to the action you’d like readers to take. Test out different colors, sizes, and styles to see what works best. Draw visitors with products they enjoy. If a visitor is taking the time to read your blog, it’s probably because they are interested in the subject of its content. Include links to relevant products related to the topic of your posts that you think might interest readers. Change your blog theme. Is your theme drawing attention to the right things? Does it allow you the flexibility you need? Especially if your blog has grown and changed since you initially selected that template, it might be time to consider a redesign focused on conversions. Write effective product descriptions. It’s important that you include product descriptions and photographs in your online store that captivate and appeal to your visitors. Keep it simple. If customers are confused by your website layout and ordering forms or unclear on your pricing, they might decide not to make a purchase. Rather than wasting time and energy to try and figure out puzzling websites and ordering systems, they may go to a competitor that offers a more straightforward shopping experience. Test out different strategies. In the end, each your target audience is unique to your shop, so the most effective strategy you can take to improve conversion is to try out a lot of different things and see what gets the best results. Always run A/B testing. What kind of content performs better with you? Which types of call-to-actions get the most results? Is there a time or level of frequency for posting blogs that gets the most traffic? Step Four: Increase revenue per conversion. Instead of focusing on getting more buyers, concentrate on encouraging those who do buy to spend more in order to improve ROI. Increase your prices or rates. This is simple: if you charge more, you’ll earn more per sale. But beware. If you increase prices too much, you run the risk of decreasing the number of people willing to purchase. The key is finding the right price point, which can take some trial and error. Upsell. Let people know about products related to their purchase. You can also offer them a deal if they decide to purchase multiple items at once. If you offer services and not products, make sure your customers are aware of the complete spectrum of services you offer. Lower your costs. You can keep your prices the same and still earn more, if it costs you less to produce the products or perform services. Look into ways to cut back on expenses. Pay attention to product margins. Know which products (or services) net you the most, and focus on promoting those. Avoid marketing those that net you a smaller return. Step Five: Get more use out of your content. You spent money developing your blog content, so now find other ways that you can use that investment. This includes repurposing its material into eBooks, social media posts, and newsletters. 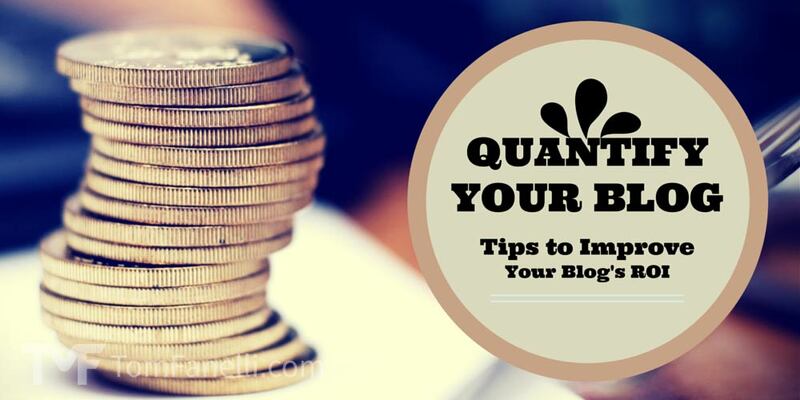 I discussed this strategy in depth in my previous post of this series: Quantify Your Blog: Do You Repurpose Blog Content?